Over its history, Disney animation has gone in cycles. You have high points, like the classic era that brought us Snow White and the Seven Dwarfs and Pinocchio, and the Disney Renaissance that delivered Beauty and the Beast and The Lion King. With the recent success that Disney is having with movies like Frozen, Wreck-It Ralph, and currently with Zootopia, it feels like we may be going through another strong period of quality Disney animation. But what about those eras in between? If Disney has high points, that means it also has lows. However, not everything that Disney made in those down stretches is truly bad. When you’ve been making animated features for the better part of a century, even your lesser quality work is better than most attempts. 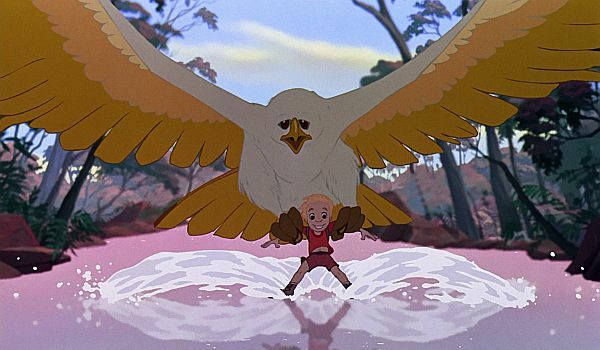 In that spirit, here are ten Disney animated movies that you should give a second look. Or possibly a first. We’ll start off with one of the most unique films that Disney ever produced. 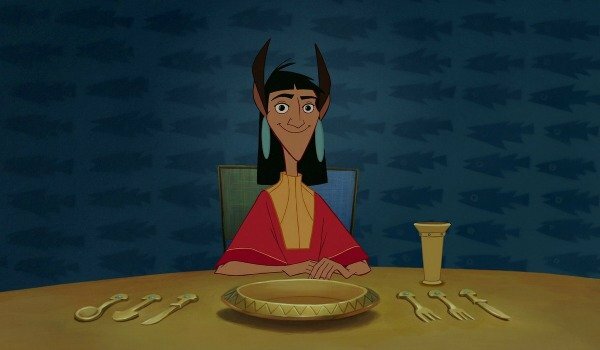 There may not be a movie in Disney’s history that relies so completely on humor as The Emperor’s New Groove. Ultimately, the entire feature is a standard buddy comedy, with John Goodman playing the straight man, peasant Pacha, to David Spade’s self-centered Emperor Kuzco. The true highlight is the other pairing, however, with Patrick Warburton as the dim-witted Krunk, side kick to the delightfully evil Yzma, voiced by the perfectly cast Eartha Kitt. Disney movies always have some humor, but you’d rarely classify one as a straight comedy, though this one you certainly would. Disney put itself back on the map in 1989 with the instant classic The Little Mermaid. Then they put Hollywood notice when Beauty and the Beast was nominated for Best Picture in 1991. And you probably completely forgot that Disney released a movie in between. IfThe Rescuers seems like a strange choice for one of Disney’s few theatrical sequels, that's because it is a very curious one. Still, this movie delivers. 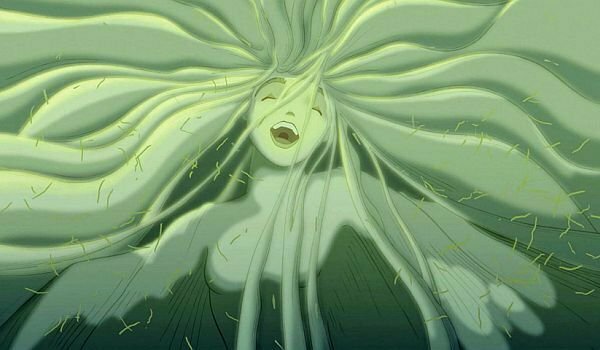 It has some of the most visually stunning hand drawn animation that Disney has ever produced. The flight sequences are breathtaking. And, of course, it also has Bob Newhart and Eva Gabor, in her last film role. Bolt was the first directorial effort by Zootopia co-director Byron Howard, and was probably the first step toward getting Disney back to its current level of greatness. It was the first Disney feature completely under the guidance of John Lasseter, who can be given much of the credit for Disney's recent success. John Travolta voices Bolt, a dog who doesn’t realize he’s the star of a TV show and not actually a superhero. 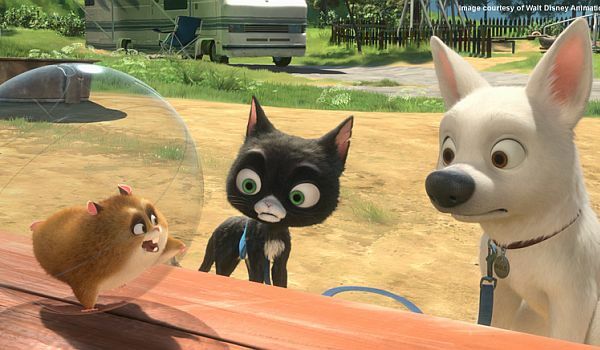 A pre-tabloid-mainstay Miley Cyrus plays Bolt’s owner, Penny. Bolt has some fantastic action sequences and some real heart. It’s also Disney’s best computer animation up to this point. Buying Pixar two years previously probably didn’t hurt. When Walt Disney released the first Fantasia back in 1940, it was supposed to be the first in a regular occurrence. New Fantasia’s were going to come out every few years, all featuring fresh animation and music. Unfortunately, the first one bombed pretty hard, so it would be 60 years before we saw Fantasia 2000. Unfortunately, it bombed too, so here’s hoping I live long enough to see Fantasia 2060. Much as the original is now considered a classic, the sequel should be too. The interstitial bits with celebrities doing introductions can be excised, but the music and the animation are a wonder to behold. Especially the "Pines of Rome" and "The Firebird." Generally speaking "overlooked" is not a word that is used when describing a Disney musical starring a princess. 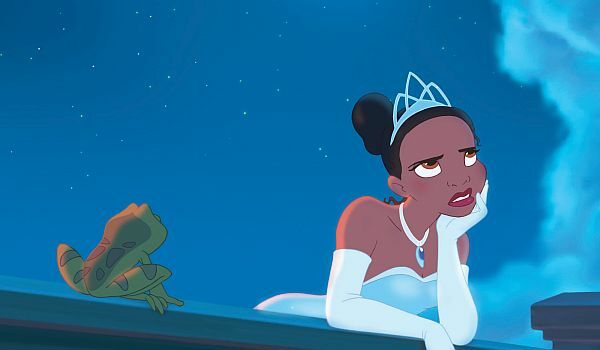 However, The Princess and the Frog is the definition of overlooked. After four computer animated features, Disney went back to their classic hand drawn style with The Princess and the Frog in 2009. For whatever reason, the movie did not resonate with audiences and eventually convinced Disney that people didn’t want this style of animation anymore. It’s unfortunate if that’s the case. The movie has a fantastic New Orleans jazz inspired soundtrack which is worth watching the movie just to hear. Tiana is also one of the hardest working Disney Princesses ever and deserves her place among her better remembered sisters. Six months after Disney tried their hand a straightforward comedy with The Emperor’s New Groove they would try their hand at a pulp action-adventure tale with Atlantis: The Lost Empire. This movie, along with Treasure Planet, which followed suit a year later, changed up the art style quite a bit and went for something with much more of an edge. Atlantis is a fun story that feels like Disney’s take on Indiana Jones, plus it has the voice talents of Michael J. Fox, as well as James Garner in one of his few roles playing (spoiler alert) the bad guy. 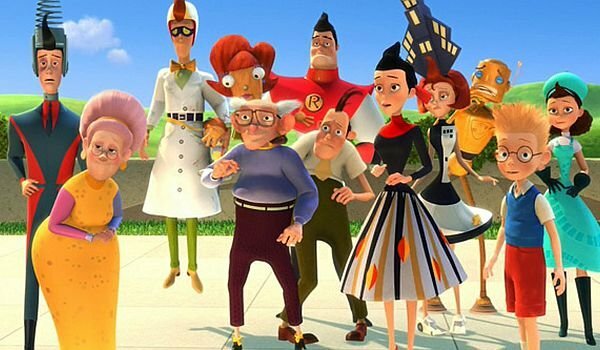 If Bolt was the beginning of Disney’s latest resurgence, then Meet the Robinsons has the dubious distinction of being the end of whatever era came before. It’s too bad, too, because It’s a fun little movie. The time travel narrative has an interesting story to tell that should make you think. The cast of characters is vast, and each one is entertaining in their own right. The computer animation is a little rough by today’s standards, but call it an educational moment and an illustration of just how far we’ve come. While you’re there, enjoy the Danny Elfman score. Two Words: Vincent Price. 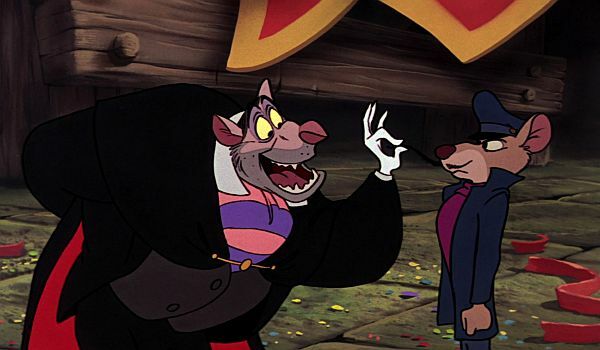 If there’s no other reason to see The Great Mouse Detective (and there are a number of them) Vincent Price as the villain, Ratigan, is worth it all by himself. You can hear the smile on the man’s face with every evil line he reads. It’s glorious. The Great Mouse Detective follows Basil of Baker Street, the mouse version of Sherlock Holmes, as he attempts to solve a case in Victorian London. Holmes himself makes a brief appearance via some pre-recorded Basil Rathbone dialogue. It’s an exciting film that also includes a great climactic scene set in the inner workings of Big Ben, which showcases Disney’s first ever use of a computer to do animation. Not bad for 1986. 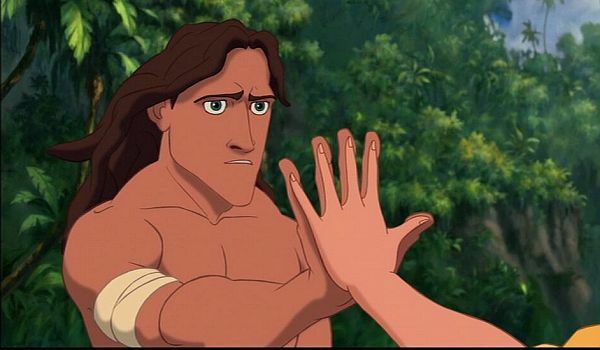 If there’s a perfect combination of hand drawn animation with computer effects, it may very well be Tarzan. Disney’s 1999 take on the classic story of a man raised by gorillas is still primarily done in a hand drawn style, though it includes action sequences, such as Tarzan’s movement through the jungle, which are greatly aided by the use of computers. Tarzan also sets itself apart from most of the rest of Disney’s work by being a fairly dark affair. People die in Tarzan and, while it doesn’t happen on screen, it’s not sugar coated either. It’s more than a little shocking if you don’t expect it. You’ve been warned. It wouldn’t be right if we didn’t take a look back into Disney’s deep catalog for at least one entry. 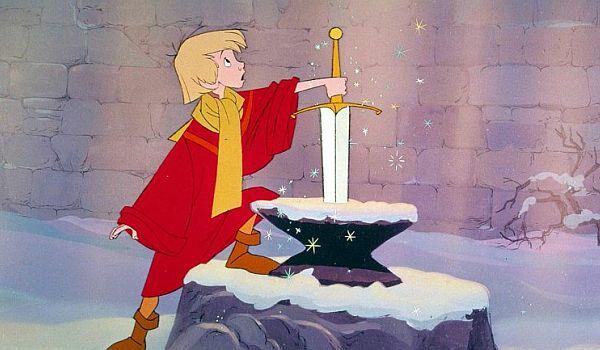 For that one, we’ll take The Sword in the Stone. It had been four years since Sleeping Beauty, and it would be 25 before The Little Mermaid. While the narrative of The Sword in the Stone is a little slap dash, it deals with interesting ideas and has solid animation which is showcased well. Ultimately, it’s worth seeing if only for the wizard battle between Merlin and Mad Madam Mim near the end of the film. It’s the highlight of the movie's humor and shows off the skill of the animators.